My feelings about carrot cake could best be described as indifferent. I find it entirely edible. I don’t really…understand it, I guess? I can’t quite imagine the circumstances under which someone came up with the idea. Like, you’ve got the makings for cake, and you just want to punch it up a bit. Of the hundreds of ingredients one might choose for that purpose, carrots would simply never occur to me. They’re kind of boring, and just an odd flavor and texture choice for cake. There are certainly vegetables that would make a worse choice—green beans, fennel, and broccoli, to choose three random vegetables I’m happy to eat on their own, would go less well in cake. But surely there are even better alternatives, like literally any fruit, or any of numerous spices, or (to state the obvious) chocolate? 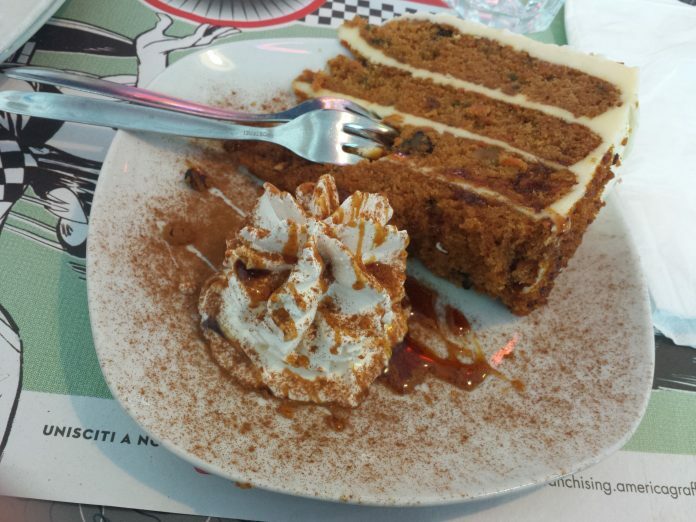 However, if you have to eat carrot cake, today’s the day.